They’re everywhere! They’re everywhere! And I ain’t talkin’ about nail salons or Buffalo chicken wings or right-wing crazies. Documentaries, that’s what I’m here to discuss. Docs are out there by the thousands, old ones and new ones. You can catch them on the small screen on HBO, SHOWTIME, PBS (NOVA and Independent Lens, are two of its documentary series), CBS (60 Minutes), etc., etc. Not to mention the oceans of docs you might peruse via Netflix. Now, I’ve seen various documentaries on the tube over the last few years, but I’ve watched more on the silver screen than at home. That’s partly because I haven’t been partial to plopping myself in front of the magic box too much. On the other hand, my cinema attendance always has been robust. Another reason, the more important of the two, is that, starting in the early aughts, many documentaries have found their way into theaters around much of the globe. That’s very true in the Philadelphia region, which I call home. My wife Sandy and I, fans of the genre, approve. Here’s a cool thing about documentaries, which tend to be low-cost affairs and never rake in dough à la, say, Logan or La La Land: Once in a while one of them will settle into the theatrical marketplace and take nearly forever to depart. In saying this, I have in mind a doc that Sandy and I saw with friends in Philadelphia last November. 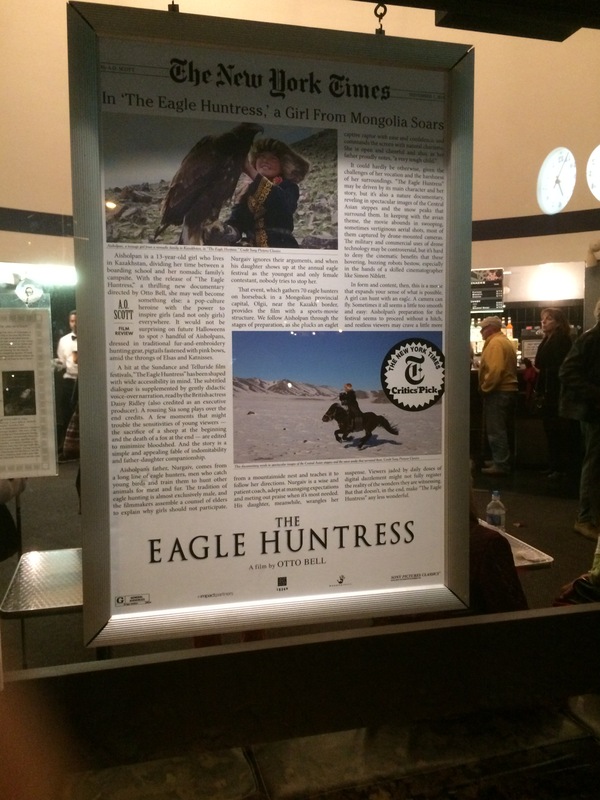 The Eagle Huntress, the film to which I refer, opened in The States one month before we viewed it. Remarkably, it’s still in some theaters across this fair land and still in the Top 100 of money grossers, as measured by the fascinating website Box Office Mojo. That’s staying power, folks, that few movies of any sort possess. A nice movie, The Eagle Huntress spins the tale of a young Mongolian girl who is drawn to the historically male-only endeavors of taming and bonding with eagles and training them to race and to hunt in specific ways. Its central Asian scenery is gorgeous (what’s not to like about deserts and glacial mountains? ), and the story line is not your everyday fare. But, to me, the plot didn’t ring quite true. I’m convinced that the final test of the girl’s gifts — to have her eagle chase down and kill a fox on treacherous mountain slopes — didn’t go as neatly and smoothly as the director hoped for. I believe he’d have stayed out in the wilderness, filming take after take, until the desired outcome was achieved. Otherwise the movie would not have had a clean and tidy ending. Enough quibbles. On to the three docs that Sandy and I went out to see in the past month: Kedi; In Search Of Israeli Cuisine; and I Called Him Morgan. As with The Eagle Huntress, they are playing here and there in cinemas around the USA and other countries. And if they haven’t yet made their way to Netflix or the like, indubitably they fairly soon will. In a nutshell, I recommend these movies highly. 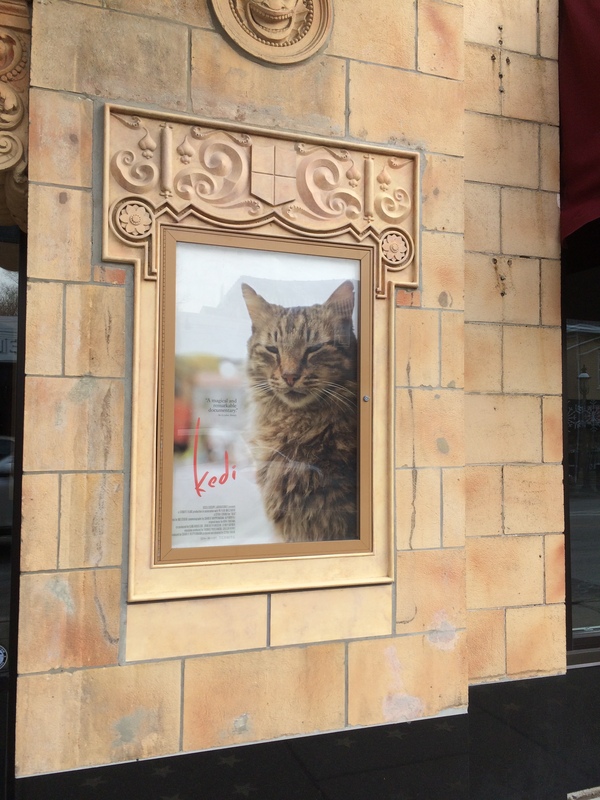 Kedi tells the tale of street cats (felines, not hipsters) in Istanbul that have developed beneficial relationships with various humans with whom they share space. 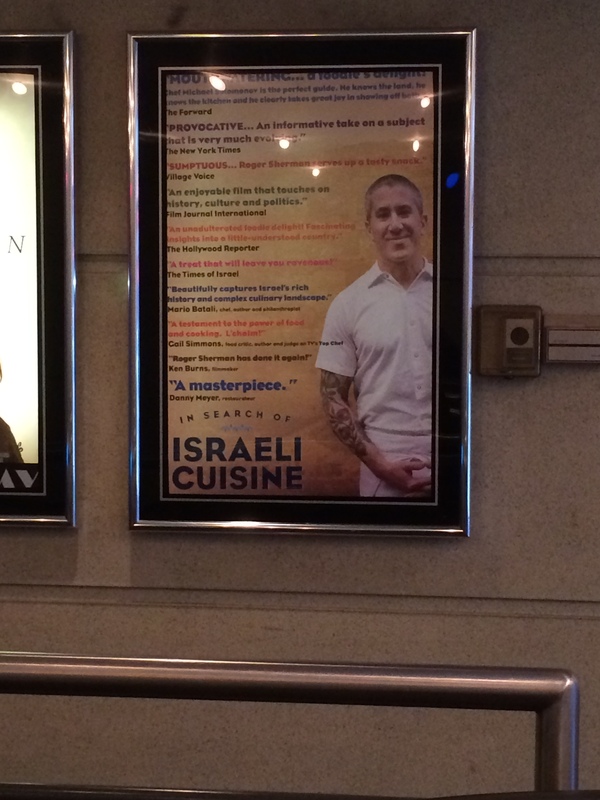 In Search Of Israeli Cuisine is a flick for foodies and for travel buffs. The goods on display in this movie, and the rural and urban settings in which they are grown, cooked, and consumed, look great. As for I Called Him Morgan, well, it made my knees go weak, as it is about one of my jazz heroes, trumpeter Lee Morgan. It also is about Helen Morgan, Lee’s common-law wife who shot him to death in a Manhattan jazz club in 1972. When Lee passed, the world lost a magnificent talent. He could play like nobody’s business and penned irresistible songs, from the nimble and fleet to the panoramic. It’s a funny thing about Kedi. Sandy, a cat lover, liked it, but not as much as I did. That’s saying something because I decidedly am not a cat person. You’d have to pay me a few thousand dollars weekly to house one in my abode. But Kedi put me under a spell. I suppose it was the cinematography, more than the story, that got to me. I don’t know where, other than in Kedi, you’re going to see the world from cats’ perspectives. What did the director do, train a coterie of cats to become cinematographers and to follow their feline buddies around town? Wow, seeing Istanbul from inches above the ground was, I thought, the coolest. On the opposite hand, so were the aerial shots of the city, for which feline cameramen had no input. Those images served no particular purpose, as far as I could tell, other than to look amazing. And amazing they did look. After viewing In Search Of Israeli Cuisine I started thinking about a movie that hasn’t been made but could be: In Search Of American Cuisine. That is, it’s not easy to define what a nation’s cuisine is. Or was, for that matter. As with most issues and subjects, things often are more complicated than you might at first assume. In the Israeli case, culinary traditions from many dozens of countries and cultures have been brought to, or already existed in, the land of Israel. There they have intermingled, evolved, and been experimented upon. I went into the movie thinking that there would be an emphasis on Eastern European Jewish cooking (brisket of beef, smoked meats, kugels, etc. ), but in Israel those dishes are not dominant in the least. Today’s Israeli cuisine draws more from Middle Eastern and North African cultures than from any others. Fruits, vegetables, grains, beans and seafoods are what Israelis, as do many peoples the world over, place into their mouths. I left the movie hungry for grilled fish and for hummus, Israeli staples. What can I say about Lee Morgan? I’ve been listening to his recordings for almost 50 years. 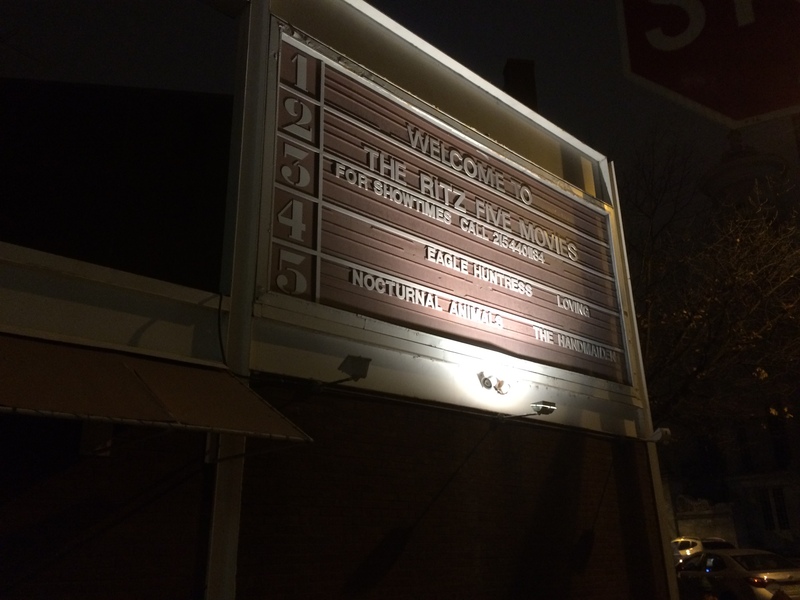 I’ve been in the long-defunct, grubby jazz club, Slugs’, where he was murdered. And for years I’ve wondered about the circumstances that led to his death. Possibly I’m wrong, but it always seemed to me that not much information ever came out about his shooting. If it did, I don’t know where. 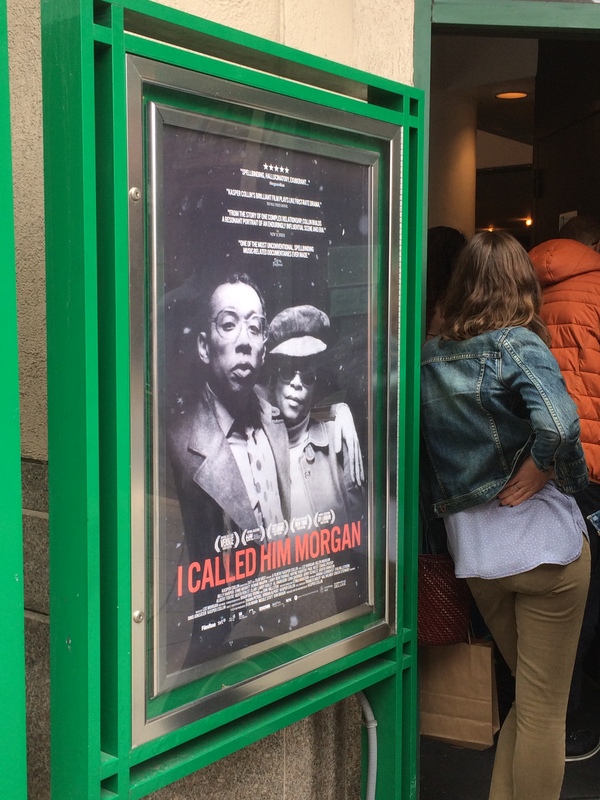 But now, lo and behold, Kasper Collin, a Swedish director and jazz lover, has seized upon and told Lee Morgan’s story, its bright beginnings and sad ending. But not fully, because that ending does not fit itself into a tight package. It never will be completely understood. Would you have to be a jazz fan to enjoy I Called Him Morgan? Well, I’m going to say that even the non-aficionado will go for this one. The movie has a brooding, moody quality, especially in the snow-filled wintery sequences leading up to and following Lee’s death. And, in marvelous film clips, it shows off his bristling musical chops. What got to me the most, though, was the telephone interview, captured on cassette tapes, that Helen Morgan gave to Larry Reni Thomas in North Carolina, where she lived after serving hard time in New York for her crime. Thomas, who has worked as a writer, teacher and radio host, conducted the interview in 1996, a few months before Helen’s death. The slow relating of her life story in her creaky voice and her explanations of why she came to pull the trigger were, I thought, the movie’s core and backbone. And maybe its heart. Without the interview there’d have been not much of a movie. Lee Morgan, famed though he once was (his hard-bopping song The Sidewinder was a pop hit in 1965), has faded into semi-obscurity. I Called Him Morgan might help to reverse that truth a bit.